Iain Matthews (and from the late 1960s until 1989 known as Ian Matthews) is an English musician and songwriter. A member of Fairport Convention during their early period, Ian Matthews had a successful solo career and fronted the bands Plainsong and Matthews' Southern Comfort. He was born Iain Matthew McDonald, 16 June 1946, Scunthorpe, Lincolnshire, England. Influenced by both rock and roll and folk music, he has performed mainly as a solo act, although he was a member of Fairport Convention during the early period when they were heavily influenced by American West Coast folk rock. He was born Iain Matthew McDonald, 16 June 1946, Scunthorpe, Lincolnshire, England. Influenced by both rock and roll and folk music, he has performed mainly as a solo act, although he was a member of Fairport Convention during the early period when they were heavily influenced by American West Coast folk rock. He later had a solo career and fronted the bands Plainsong and Matthews' Southern Comfort. Matthews grew up in a working-class family in Scunthorpe. He sang with several minor bands during the British pop music explosion of the mid-1960s. He moved to London in 1966, taking a job in a Carnaby Street shoe shop. He recorded a couple of singles there in 1967 with a pop band called Pyramid. Not long afterwards, he was recruited by Ashley Hutchings as a male vocalist for Fairport Convention, where he duetted first with Judy Dyble, but more famously with Sandy Denny. 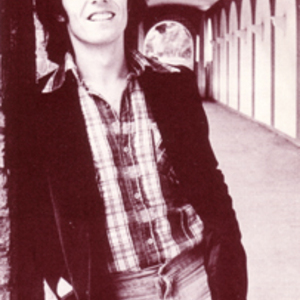 In 1969, as Fairport's music veered much more toward British folk influences, Matthews made the decision to head off in his own musical direction. With Thompson, Nicol, and Hutchings from Fairport Convention, plus drummer Gerry Conway (of Fotheringay, and later to join Fairport) and pedal steel player Gordon Huntley, he recorded his first solo album, Matthews' Southern Comfort, whose sound was rooted in American country music and rockabilly; this was his first significant experience as a songwriter, although the band also covered the likes of Neil Young and Ian and Sylvia. He then formed a working band using the name of his first album and recorded "Second Spring" and "Later That Same Year". The band went through several different lineups and toured extensively for the next two years, to general critical acclaim. They had one commercial success: a cover version of "Woodstock" (written by Joni Mitchell) was a number one hit single in the UK and saw heavy airplay in Canada, as well as reaching #23 in the US. After recording two acclaimed solo albums on Vertigo Records, under the sponsorship of former Yardbird Paul Samwell-Smith and surrounded by a who's who of likeminded British semi-folkies (notably another ex-Fairporter, Richard Thompson), he formed Plainsong, who signed to Elektra Records and in 1972 produced In Search of Amelia Earhart, which solidified Matthews' songwriting reputation with the critics, if not with the general public. After Plainsong collapsed due to a bandmate's alcohol problem, and with his career now based in Los Angeles, he released several more albums with ad hoc bands, including one produced by ex-Monkee Michael Nesmith (Valley Hi), but none met with commercial success. He bounced from Elektra to CBS Records, to the small Rockburgh label, where he finally scored a hit single in 1978 with a cover of Terence Boylan's "Shake It", and a moderately successful follow-up covering Robert Palmer's "Gimme an Inch". He moved from Los Angeles to then-inexpensive Seattle, where he teamed up with David Surkamp, formerly of the St. Louis band Pavlov's Dog, to form the power-pop band Hi-Fi, whose repertoire included Matthews originals, but also covers of Neil Young's "Mr. Soul" and Prince's "When U Were Mine". Neither this nor a return to solo recording in England turned his luck. He worked for a while in an A&R capacity at Island Records and then new-agey Windham Hill Records. Since 1974, Fairport Convention had been staging the annual Cropredy Festival; since 1979, this annual reunion had been pretty much their only activity as a band, but in the mid-1980s several of them were interested in reviving the band and had done some recording. Matthews was invited to join them to perform, both with them and in other configurations, at the 1986 Cropredy Festival. This led to Walking a Changing Line (1988) on Windham Hill, an unlikely album-length tribute to Jules Shear of Jules and the Polar Bears. It led, however, to hooking up with producer Mark Hallman - a longtime fan - moving to Austin, Texas, and recording several albums for a series of German independent labels. It also led to his first truly solo performances: his previous "solo" outings had always been as a front man for a one-shot band. He also appeared with Andy Roberts at the 1992 Cambridge Folk Festival, which led to the first of what were to be several reformed versions of Plainsong. Since that time, Matthews has had a moderately successful career, releasing records on a number of small labels in Germany, the UK, and the U.S., before moving to Amsterdam in 2000, where he continues to be involved in various indie projects and collaborations, including the Sandy Denny tribute band No Grey Faith and yet another revival of Plainsong.